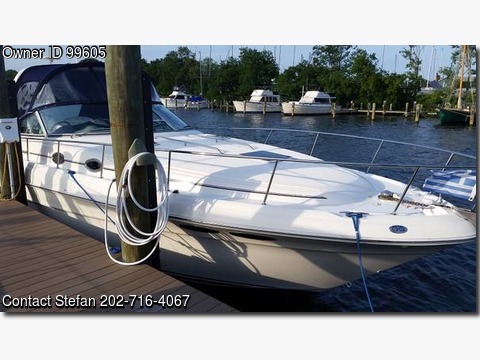 Boat is located in Deale,Maryland.Please contact the owner @ 202-716-4067…PRICED TO SELL. 1999 Well maintained. 8.1 Horizon Mercruisers. 370 horsepower each. New risers and manifolds. 3 yr old canvas. Ac. 2 flat screen TVs. LED interior and exterior lighting. Raymarine Hyper touch Navagation. $4000.00 Sea deck flooring.